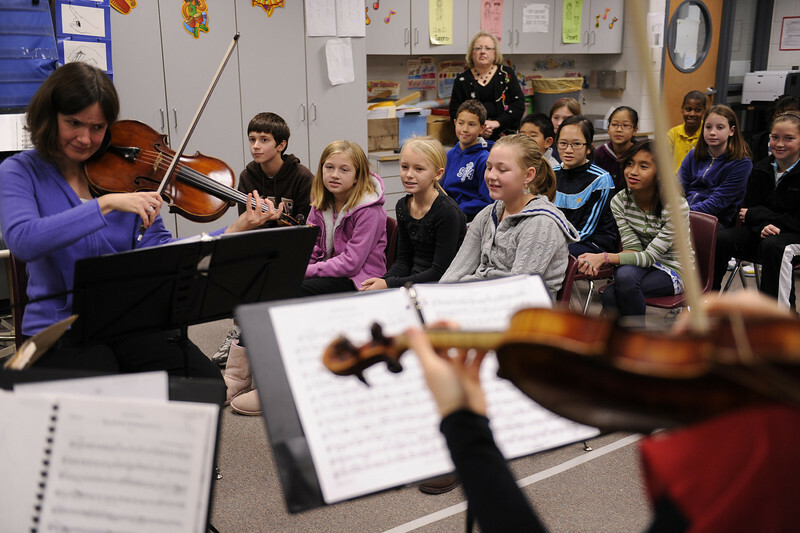 The Maia Quartet, UI’s string quartet-in-residence, is bringing professional performances to every 5th and 6th grader in the Iowa City school district. In a series of concerts that began in December 2010, the “Democracy in Music – The String Quartet” program focuses on how the string quartet functions as a democracy, without an official leader. The Maia Quartet performs at Weber Elementary School in Iowa City.